Although the main motivation for initiating an intervention in the Indian brick industry was to find a solution to a global environmental problem (it was financed from a special global environmental fund), it would not have acceptable to an agency like SDC if the intervention would not – at the same time – improve the social conditions of the workers. This was not an easy task as the brick industry is well-known for its very harsh working conditions. 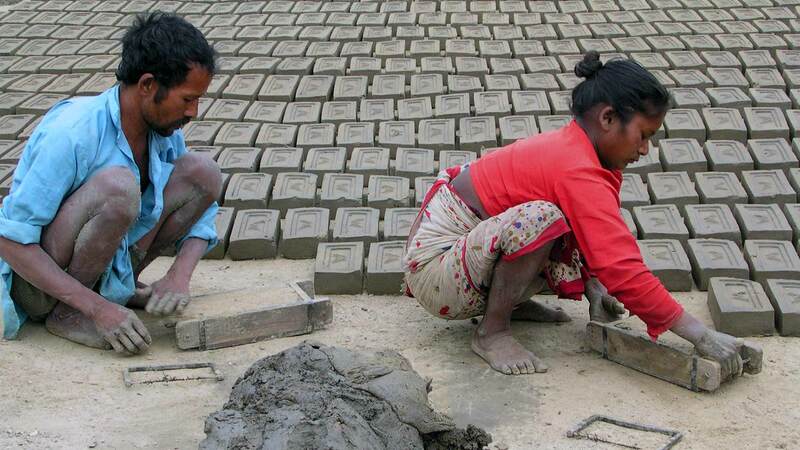 Millions of people from the poverty pockets of India and Bangladesh are migrating every year during the dry season – when there is no work as farm labourers – to the over 50’000 brick kilns in Northern India desperately seeking a job as firemen or as brick-moulders. As long as this poverty remains, this “industrial reserve army” will flock out to these kilns and there are few incentives for brick kiln owners to invest in better working conditions or in selective mechanisation: as long as it is cheaper to pug clay by foot and mould bricks by hand, there will be no machines. Technical improvements: some of these innovations require technical improvements such as better air quality through chimneys and ventilation; mechanical pugmills and mechanised brick-moulding machines instead of treating the clay by foot and moulding the bricks by hand. New forms of ownership: different models of new ownership have been tried out, for example six community owned kilns are operating in Orissa, in South India, 11 women Self-Help Groups are operating a VSBK; they are still struggling with management problems but with the right support they may succeed. Organising small brick-makers and workers: More that 20,000 brick firemen and their families have been organised in North India. Similarly, capacity-building and organised dialogue has been undertaken with hundreds of small brick-makers in Nam Dinh province of Vietnam.